Persisting violent conflict and the grave humanitarian crisis in the Lake Chad Basin cannot be resolved without collaborative efforts from across the region. In May 2018, governors from the four countries bordering Lake Chad convened in Nigeria for the first time to discuss the complex regional crisis. CMI’s Senior Advisor Ambassador Nicholas Bwakira facilitating a session on Reconciliation and Transitional Justice at the Governors’ Forum. Violent conflict in the Lake Chad Basin is now in its ninth year. The extremist militant group Boko Haram, best known internationally for the kidnapping of 276 school girls in Chibok, northeast Nigeria in 2014, continues to spread fear and violence. It is estimated that nearly 10 million people living in the region have been directly affected by the insurgency and the accompanying humanitarian crisis. Weak governance, poverty and drought are some of the intertwined root causes of the plight of the Lake Chad Basin. The diminishing water levels of Lake Chad have contributed to water shortages and crop failures, and restrictions on movement imposed by the counter-insurgency operations have made many fishing, farming and herding areas inaccessible. Mass displacement and severe food insecurity are taking a heavy toll on civilians: approximately 2.3 million have been internally displaced and 5.8 million people suffer from critical food insecurity. Sustainable change for the better is best achieved through the collaboration of all key stakeholders. In early 2018, United Nations Development Programme (UNDP) initiated the preparations for a Lake Chad Basin Governors’ Forum as a platform for regional dialogue. The Forum mechanism aims at enhancing cooperation of the Governors for efforts towards regional stabilisation, building peace and fostering sustainable development. An essential part of the process towards the Governors’ Forum was a series of stakeholder and community consultations, organised by UNDP. 1,100 women and men were consulted on their perspectives on issues such as the security situation, local governance, economic matters and reintegration of former Boko Haram fighters. Security was one of the main concerns of communities across the four Lake Chad Basin countries, particularly due to the negative impact of road closures on trade and everyday life. Many members of the communities were reluctant about welcoming Boko Haram fighters back, which underscores the need for reconciliation. Supported by the Government of Sweden, CMI provided advisory support to UNDP during the consultations and the creation of the Governors’ Forum. The engagement drew upon CMI’s long-standing experience in conflict prevention and peacebuilding, particularly in stakeholder consultations and cross-border dialogue. “Inclusive dialogue and ownership are key for paving the way for sustainable peace”, notes Janna Greve, Project Manager for CMI’s Sub-Saharan Africa team. “Therefore, measures for stabilization need to be based on the engagement of all relevant stakeholders. This implies a need to enable the participation of marginalized groups, like women and youth”, adds Greve. Any solution must take into account the views and concerns of those most directly affected by the conflict. 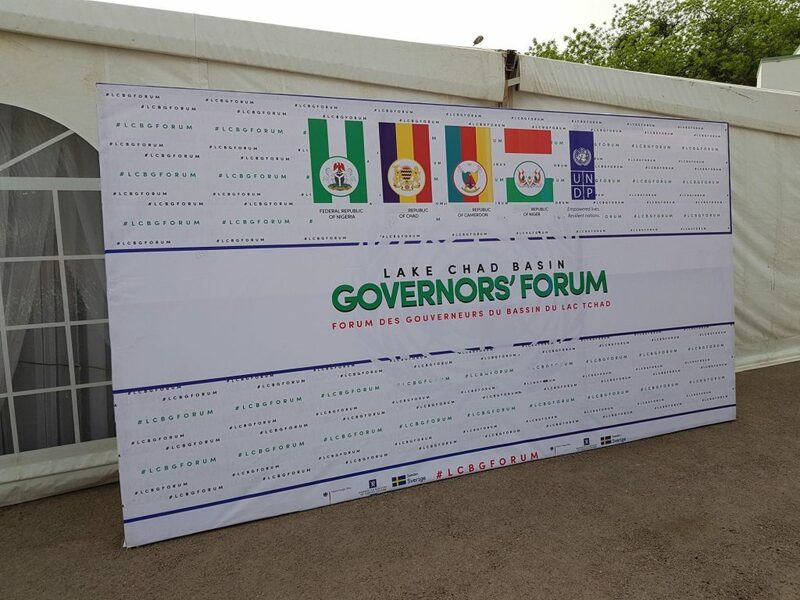 The Governors’ Forum was held in Maiduguri, the capital city of Borno State in Nigeria. The Forum was established with the participation of seven governors from states and provinces in Cameroon, Chad, Niger and Nigeria. In addition, stakeholders from regional and multilateral organisations, civil society and state governments were present. Panel discussions addressed the complex challenges of the region and discussed common strategies for addressing them. The Forum was also a platform to exchange best practices, share experiences and listen to recommendations of civil society. CMI’s Senior Advisor Ambassador Nicholas Bwakira facilitated a session on Reconciliation and Transitional Justice. As he emphasised, “Reconciliation is a dialogue that must be inclusive”. Reconciliation is essential to stabilisation, and it is also closely linked to other vital measures such as reintegration of former fighters. The forum concluded with a joint communiqué from the governors, stating a commitment to the establishment of the forum as a vital platform for cross-border dialogue. 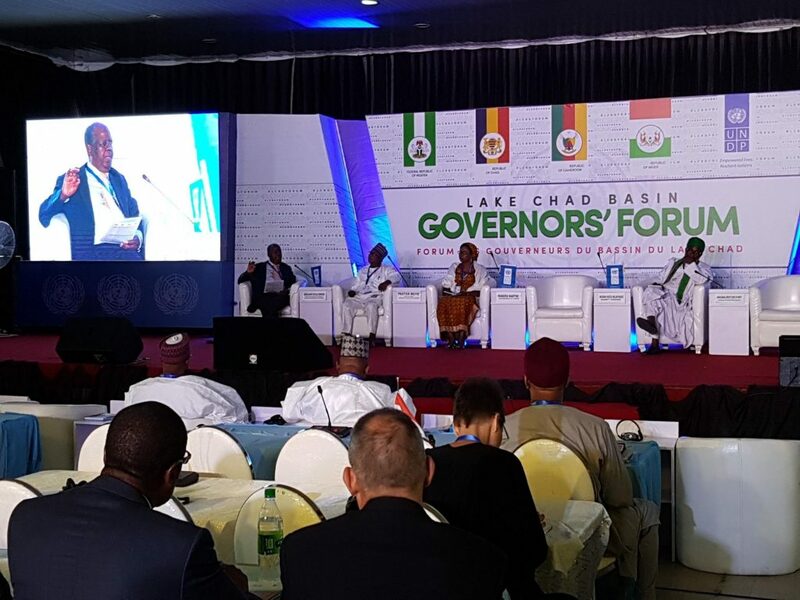 The Governors’ Forum is expected to become a permanent regional mechanism, continuing to discuss and tackle issues in the Lake Chad Basin. As such, it will complement other ongoing strategies and initiatives for regional stabilisation in the area. The next meeting of the forum is envisaged to take place in Niger in early 2019.